THANK YOU FOR CELEBRATING OUR 11TH ANNIVERSARY LAST WEEKEND! 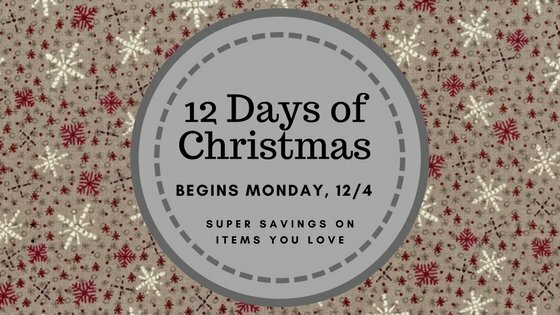 Join us for our FUN 12 Days of Christmas! 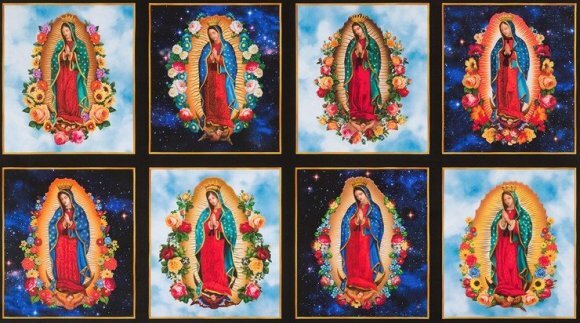 for you to give as a gift or keep for yourself. Pick up each day or at the end of the 12 Days. Shipping begins on Monday, Dec 18. 1. Purchase $150 merchandise (before tax) in one transaction between Dec 1 & Dec 23 to qualify for the FREE YARD CARD. 2. Redeem card once per month for ONE yard of fabric valued at $12.99/yard or less. Your card must have your name on it. Card must be present in the shop to be used. Redemption must occur during the current month. Customer agrees to terms of agreement upon receipt of card. 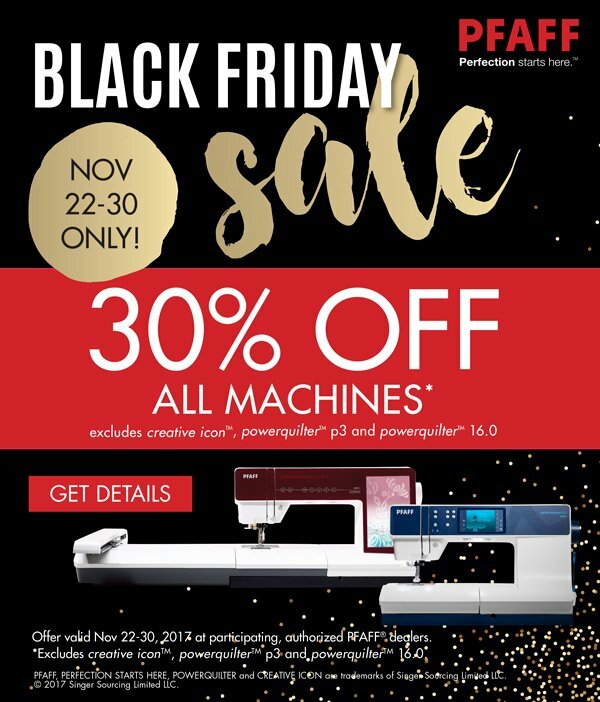 PFAFF sewing machines and accessories. 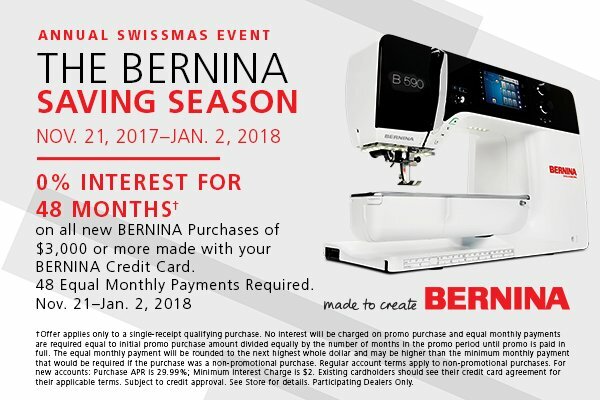 This is a great time to get a Bernina. Great financing is available now! Do you need to finish some projects? Get together with other quilters to sew and be inspired. Reserve your spot at a table in our classroom. Call 972-542-8839 to sign up for your table. More Info In Future Happygrams!